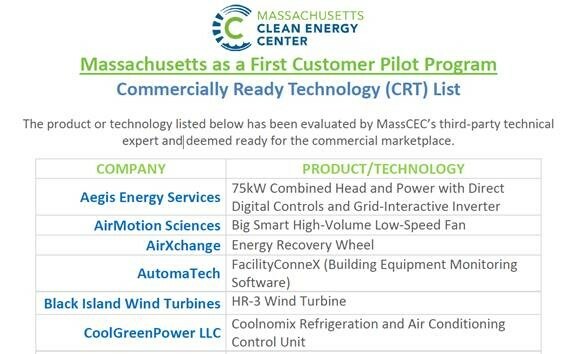 We’re delighted to report COOLNOMIX® has been recognized in the state of Massachusetts, USA through the work of our partner CoolGreenPower (www.coolgreenpower.com). The Massachusetts As a First Customer program supports Massachusetts clean energy and water innovation technology companies looking for their first or early customers, as well as facilitating the adoption of new energy or water innovation technologies at public agencies, schools and communities across the Commonwealth. Phase 2 of the program is to select those that offer the strongest benefits for Massachusetts and they will be chosen to work with MassCEC.